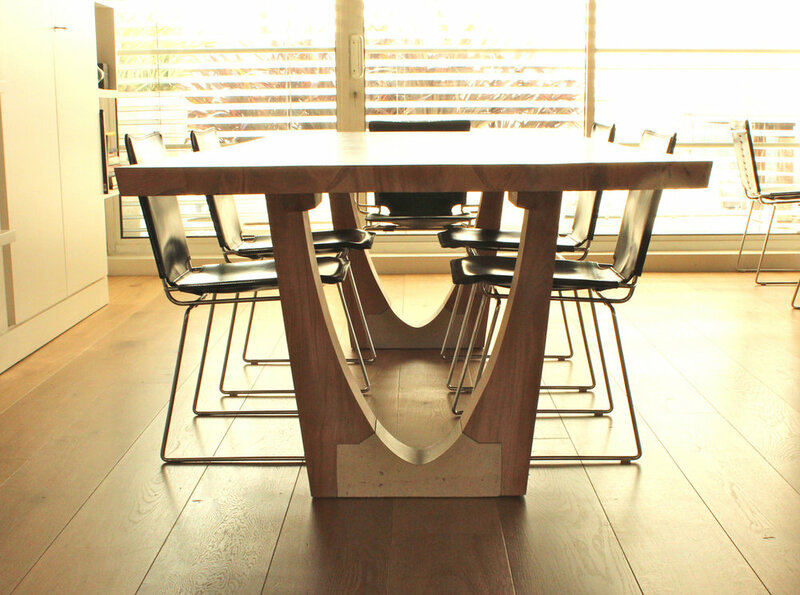 Table top and leg uprights in solid salvaged English oak with white concrete leg base. 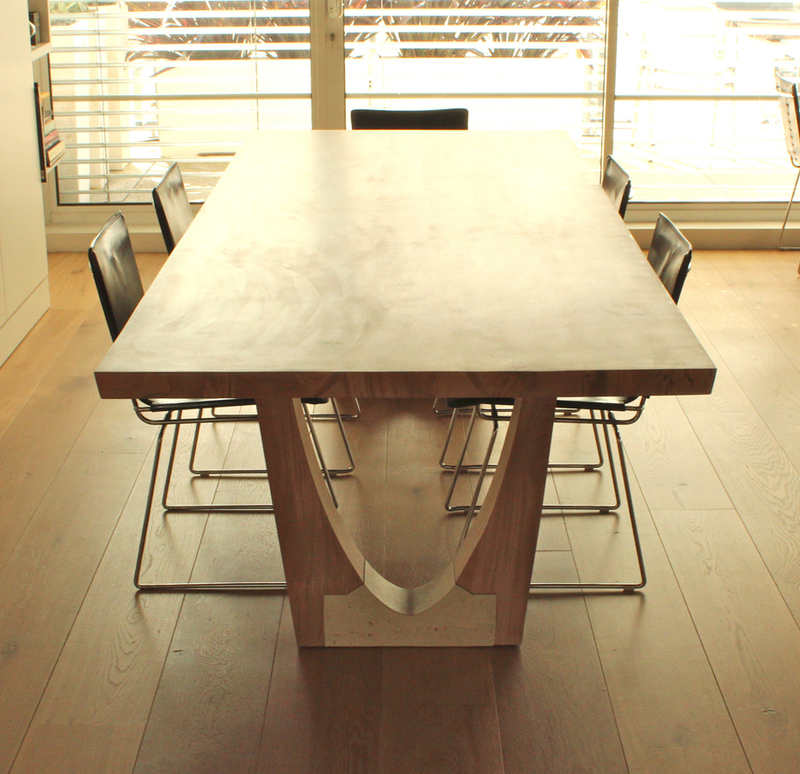 The clients wanted a table that reflected their London apartment’s bare concrete and steel interior. 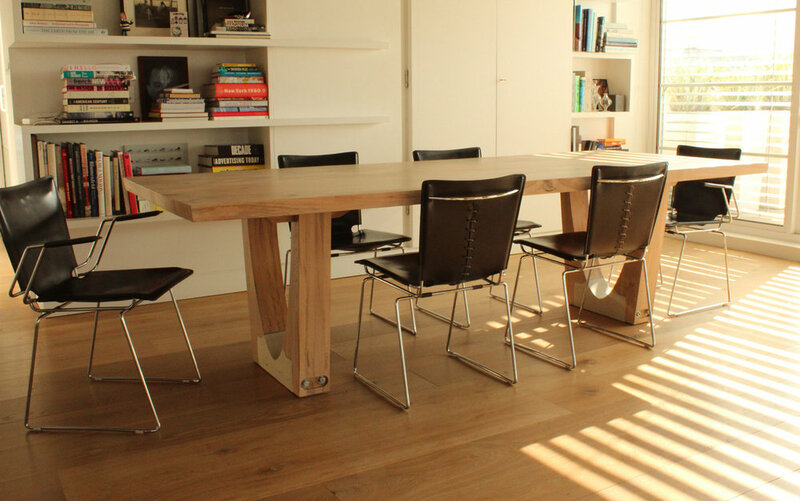 Made in solid salvaged English oak and finished in Raw Osmo oil finish. 260cm L x 105cm W, 60mm thick top.